Let's get this out of the way right up top: Sikur's GranitePhone is not for you. Security as a feature is nothing new -- BlackBerry's entire existence rests upon it at this point -- but the GranitePhone takes security to another level. While the phone is based on Android, it runs a forked version called GraniteOS that is startling in its simplicity. You can make secure, encrypted voice calls and use Sikur's encrypted chat and messaging service. There's also support for standard GSM calls and SMS messages, and you can take photos or add standard Exchange, POP or IMAP email accounts. But that's it. There's no app store or even many built-in apps for things we think of as standard smartphone features, and that's all with intention. This isn't a phone for the standard smartphone user, says Sikur CEO Fred D'Avila -- instead, his company built a phone in partnership with hardware manufacturer Archos specifically for governments, big enterprise clients and financial institutions. The challenge will be convincing those potential clients to go with Sikur and the GranitePhone over its better-known competitors. In keeping with its target markets, the GranitePhone hardware itself is a very standard, unassuming, even boring device with little to set it apart from the rest of the crowded Android field. It's a 5-inch device with a 1080p screen, a Qualcomm Snapdragon 615 processor, 2GB of RAM and 16 GB of internal, non-expandable storage. It has a 16-megapixel back camera and 8-megapixel front facing camera and a 2,700mAh battery that you can't replace. If you ever thought that your cellphone does not make calls as well as the cellphone you had 10 years ago, you may be right. The UK's Ofcom (roughly equivalent to the FCC) tested cellphones and found that many needed a much higher signal than the standards recommend in order to send and receive data. This applied to 2G, 3G and 4G connections.Confirmation bias has me nodding along; Google Fi has been dropping a huge percentage of my calls lately, and I've been unfairly reminiscing about the good old days with a heavy Nokia 5100 series phone. Minecraft dominates the iPad and iPhone paid charts. The Pocket Edition of Mojang’s hit is No.1 on both platforms, while Telltale’s new episodic Story Mode takes second place in the iPad ranks and No.5 on iPhone. These titles are absent from the Grossing Top Tens which are ruled by mobile giants KING and SUPERCELL. Candy Crush generated the most revenue on iPad for the week, while Clash of Clans did the same on iPhone. And King is surely looking to recreate Candy Crush’s success with new game Blossom Blast, which topped the free iPad chart last week. What's better than a waterproof smartphone? How about one you can clean with soap? Kyocera, which has done a line in toughphones for several year, revealed exactly that. 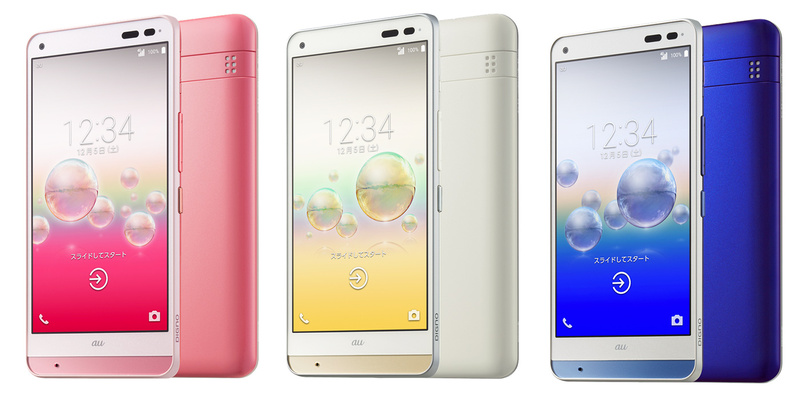 Launching in (particularly soap-themed) pink, white and blue color options in Japan, don't let the kawaii design fool you -- the phone is pretty designed to take some damage. And a shower. According to Kyocera, because smartphone use is now so frequent, many users are looking for a phone that they can use -- and like anything else, clean it up afterwards. (The press release mentions recipe look-up). To that end, the DIGNO rafre has a longlife, extra-hardy waterproof coating. This "handsoap-washable water resistance" also includes protection from warm water — which you'd probably be using alongside the soap. 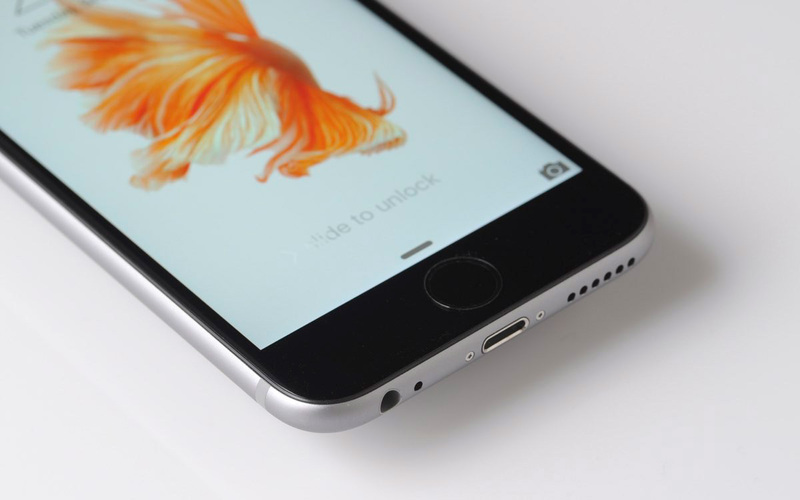 Apple is expected to integrate organic light-emitting diode (OLED) display technology in its iPhone handsets from 2018. The Cupertino-based giant will jump from liquid crystal display (LCD), which has been used in iPhones since 2007, to OLED – turning to suppliers like LG Displays, according to Japanese reports. The switch follows the steps of other smartphone makers such as Samsung and LG, which have both already integrated OLED technology in their mobile device ranges. Microsoft and Nokia have worked hard making Lumia smartphones difficult to break into at a low-level, but software hacker Heathcliff has just proven that it's not impossible. He's just released a solid-looking tool calledWindows Phone Internals, and it can do everything from unlocking the bootloader to replacing the phone's ROM. WP Internals is a completely free download, though Heathcliff welcomes donations by those who've found the tool useful. According to the "Getting Started" section of the tool, supported models include Lumia 520, 521, 525, 620, 625, 720, 820, 920, 925, 928, 1020, and 1320. If your model is not on the list, the developer has said that he hopes to add more models in the near future. We all know that guy (or, in some cases, we are that guy) that can listen to a car running and say something like, “Yep. Needs a lifter adjustment.” A startup company named Augury aims to replace that skill with an iPhone app. Aimed at commercial installations, a technician places a magnetic sensor to the body of the machine in question. The sensor connects to a custom box called an Auguscope that collects vibration and ultrasonic data and forwards it via the iPhone to a back end server for analysis. Moving the sensor can even allow the back end to determine the location of the fault in some cases. The comparison data the back end uses includes reference data on similar machines as well as historical data about the machine in question. The Apple Pencil is aimed at professional artists who want to use the iPad Proas a fancy creation tablet, but Simon Gladman has other uses in mind for the stylus. He made three Swift apps that use the Apple Pencil in new ways: as a synthesizer powered by AudioKit, in an image-editing program and as part of an electronic scale. PencilSynth uses the Apple Pencil's position on the iPad Pro to control the sound emitted, changing pitch and frequency as the Pencil travels at different angles across the screen. 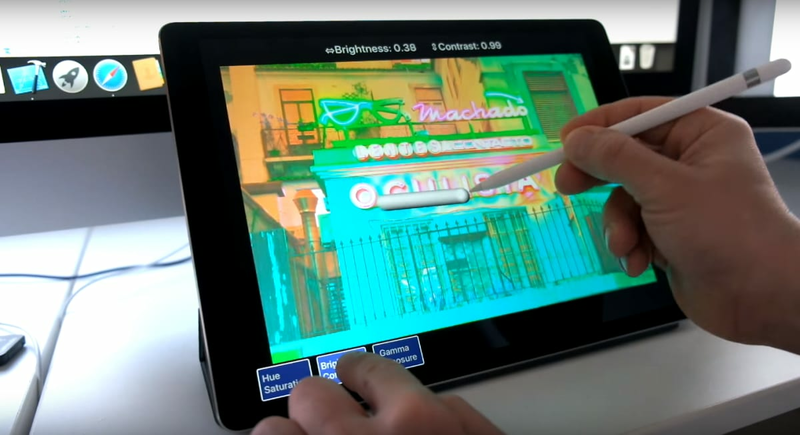 PencilController offers three image-filtering modes (hue/saturation, brightness/contrast and gamma/exposure), each controlled by holding one finger on the appropriate mode key and moving the Apple Pencil around a pivot point on the screen.PencilScale is the most "experimental" of Gladman's projects, using the Apple Pencil as a stand for a series of weights sitting directly on top of a scale app. Gladman calls PencilScale "sensitive, but not terribly accurate." The Instagram team appears to be readying an Android update that will introduce one of its most highly requested features: multiple account support. For the average user this probably isn't a big deal, but for professional photographers, social media managers and small business owners, this addition would make life much simpler. 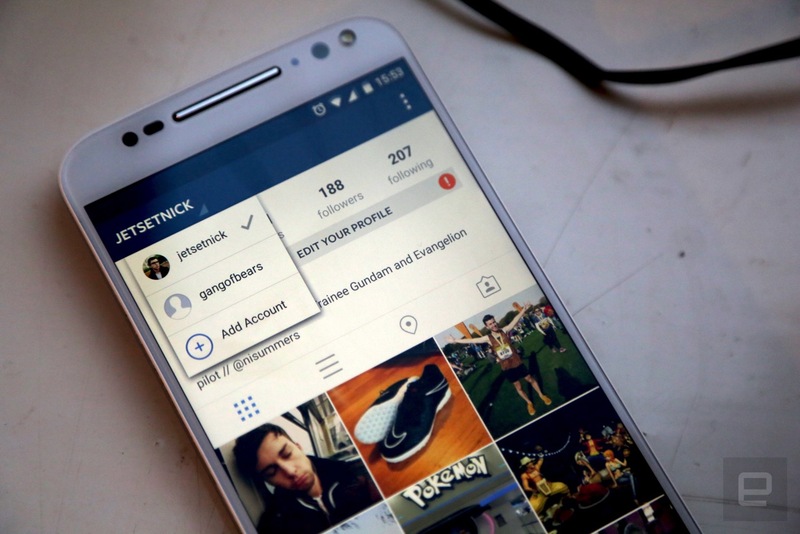 As Android Police reports, Instagram is testing the feature on Google's mobile OS right now -- you can gain access by joining the Instagram beta program, or by grabbing the latest APK from APK Mirror. Once you've got the right version installed, just dive into your settings and scroll down to the bottom, where you'll see the new option "Add Account." From there, you can switch between the two by tapping the drop-down menu on your profile page. Less than a month after kicking off the Cortana for iPhone beta signups, Microsoft has started rolling out the app to people who showed interest in testing it. As TechCrunch points out, the early build is being distributed through TestFlight, a developer-focused service that lets iOS users try applications before their public release. Based on the app's current description, Microsoft is asking testers to set a Cortana reminder on a Windows 10 PC and see how it works with an iPhone, as well as communicate with the virtual assistant and observe how she responds to queries. Back in August, Cortana also arrived on Android via public beta, so it's only a matter of time before Microsoft officially releases it on Google and Apple's mobile platforms. Google is gearing up to release Android Studio 2.0 with three key features. 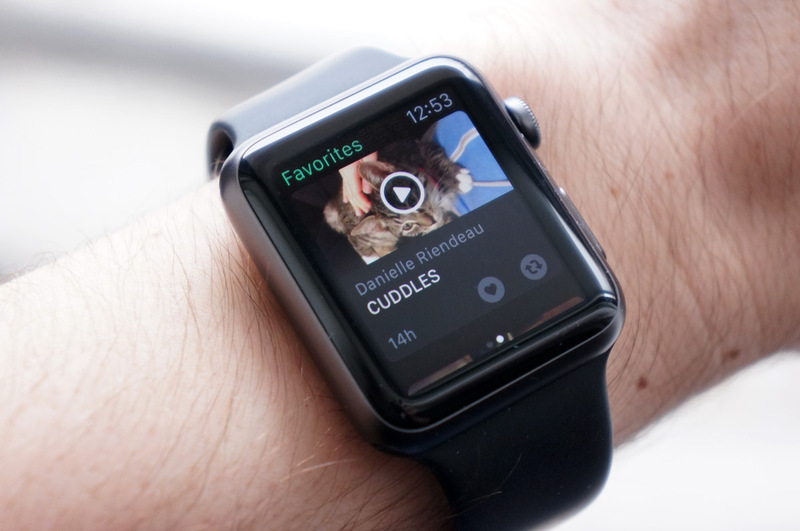 The company has released the preview version of the release, and says it focuses on speed of delivery and testing. The new features include Instant Run, which lets developers see the impact of their code changes; Android Emulator, a rebuilt user interface; and an early preview of a new GPU Profiler that allows developers to record and replay graphics-intensive apps frame by frame. Facebook at Work caters to businesses, allowing employees to communicate and share documents on private channels, and this week it adds a new mobile feature called Work Chat. Work Chat is a separate messaging app that operates similarly to the standard Facebook Messenger service, though it's restricted to you and your coworkers only. It's available to select companies on Android now, with an iOS launch in the works, TechCrunch reports. Facebook at Work is still in beta, though TechCrunch says about 300 companies use it daily, from Heineken USA to the Royal Bank of Scotland. When it launches for all businesses next year, it'll use a "freemium" model, the site reports. We don't exactly know why, but China seems to have a thing for the Pepsi brand. 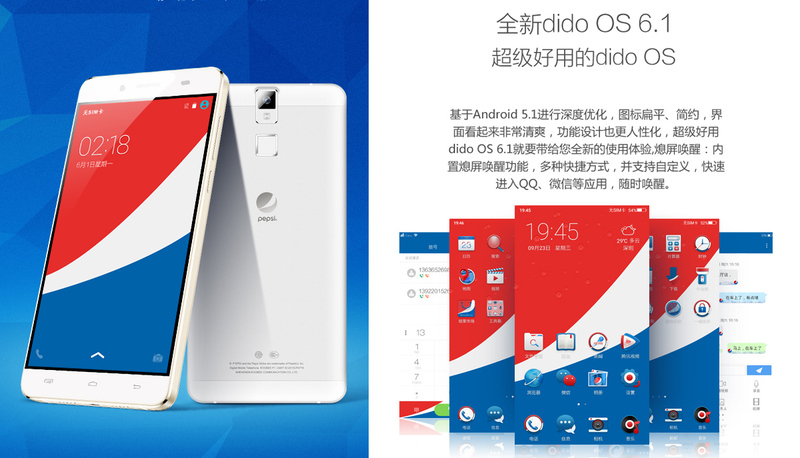 Following the Pepsi edition Oppo N1, another company from the Far East is launching a new device that's simply dubbed the Pepsi Phone. From afar, you may mistake this aluminum device as a rebadged Oppo R7 Plus, but it's actually a variant of the $250 Koobee H7 featuring the same 5.5-inch 1080p display (maybe IPS LCD?) with 2.5D glass, MediaTek MT6592 1.7GHz octa-core processor, 16GB internal storage, 2GB RAM and backside touch fingerprint sensor -- it's likely an older version, though, judging by its thick metallic border like the one on the Huawei Mate 7. 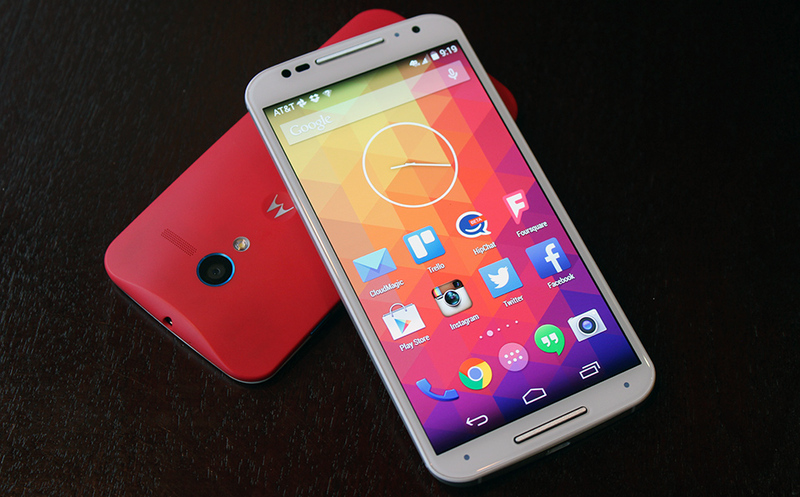 It also runs on Koobee's customized Android 5.1 with a Pepsi theme out of the box. The Genius Bars in Apple's retail stores are supposed to be convenient ways to answer questions and get repairs, but the ever-growing deluge of customers sometimes makes it a pain. Ever waited 20 minutes just to get a Lightning cable replaced? Well, the Cupertino crew may have a clever way to speed up that wait time... and in some cases, save you a trip altogether. Both uSwitch and leaker Sonny Dickson understand that Apple is working on a support app for iOS that would help you get the fix you need. The app would narrow down the cause of your problem by asking questions, and offer chances to contact support, book a Genius Bar appointment or (if it's a relatively minor issue) fix it yourself through how-to guides. Think of it as Apple's support website distilled into a simpler, more powerful form.